With its own booth, HIP Hospitality participated in 100% Hotel Show, the premium hotel event in Greece for hoteliers and villa owners, held from 16 to 19 November at MEC Peania, in order to present its services to the visitors of the exhibition. 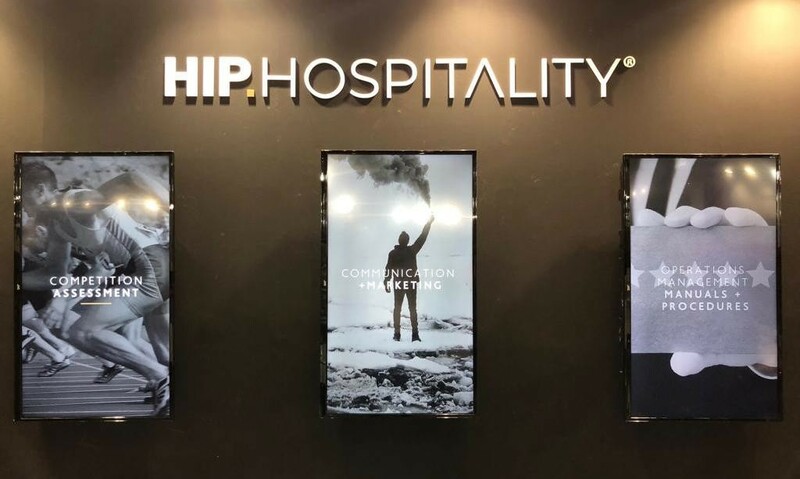 Giving emphasis to the services offered by the hotel management and development company, the concept of the HIP Hospitality booth was based on visual communication and video creation. Through 3 striking vertical screens that uniquely presented the company's areas of expertise, services and benefits for investors and hoteliers, HIP's booth attracted attention and interest in the entire digital & sales section of the 100% Hotel Show. Investors, hoteliers, architects, suppliers and students visited the booth to talk with HIP Hospitality's executives about the company's integrated solutions in all areas of hotel development and management, from the hotel feasibility study, to the preopening planning, sales, marketing, operations optimization and 360 management. HIP Hospitality was founded in 2012 and is one of the leading hotel development and management companies in Greece. Committed to maximize the value of a hotel, HIP transforms the knowledge and experience of its experts into innovative solutions that lead to sustainability and profitability.